We would like to announce the addition of a phone line specifically for technical calls. The new telephone number is (785) 891-3557. If you are a mechanic, this page is geared especially for you. Here you will find items such as all the component parts to rebuild the generator adaptor drive and component parts for a standard Vickers power steering pump, just to name a few. Like all of our other pages, this page will get updated regularly so be sure to bookmark it for your future reference. In addition, if you are looking for an item that you do not see listed, please do not assume we don't have it. We have so, so many parts that it would be impossible to list them in the space provided. Take a moment and look at the rest of our site. We hope the information that we have provided will be helpful to you. Feel free to contact us with your comments and/or questions. With the rising cost of replacement parts, it has become prudent, as it used to be, to rebuild components whenever possible in lieu of just replacing them. Below you will find breakdown of the Carrier 05G compressor. We have all parts in stock and ready for shipment. 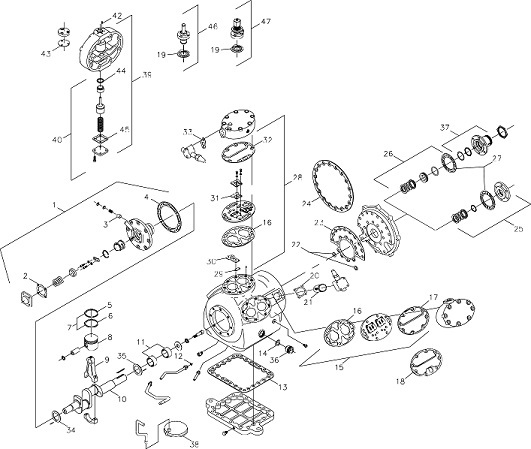 When placing an order, be sure to indicate if you are rebuilding a 37 or 41 CFM compressor. Each of the items for this compressor are available for purchase. We will be adding the part numbers for specific item numbers in the coming days. If you need any of these items, give us a call and we will assist you in every way possible. Continuing on the line of increased cost but also saving money, we are offering rebuild or maintenance kits for many Bendix valves. Below is a partial sampling of the kits in stock. If what you need is not listed, please call us at 888-287-3499 for availability. In addition, we have rebuilt valves available for immediate exchange with a rebuildable core. Those valves include TR2, inversion, R6, PP2, DV2, E6, E12, and many others. We are stocking all parts needed to rebuild DD3 brake chambers and these chambers are also available for exchange. A large variety of air chambers and replacement diaphragms are also in stock. 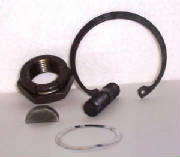 Maintenance items for air dryers, such as AD2, AD4 and AD9 include thermostat, purge valve, cover and dessicant. The cover and dessicant are available for exchange. All other items are sold outright. 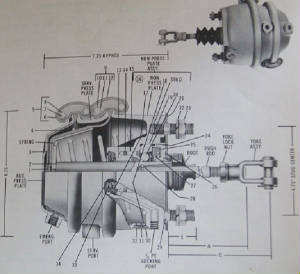 The illustration that follows is presented exactly in the Bendix Air Brake catalog. It includes the list of part numbers for each of the items used in the rebuild of this DD3 chamber. Expand photo to see a complete picture so you can place your order by number. Note: The large and small drive gears for direct drive alternators are available in two different sizes. When ordering be sure to have the number of teeth on your gears. Don't forget things like the mounting gaskets and the special nut nut on the drive gear. Call for pricing on these items and others for rebuilding this component. Disc brake calipers for MCI models are now available. 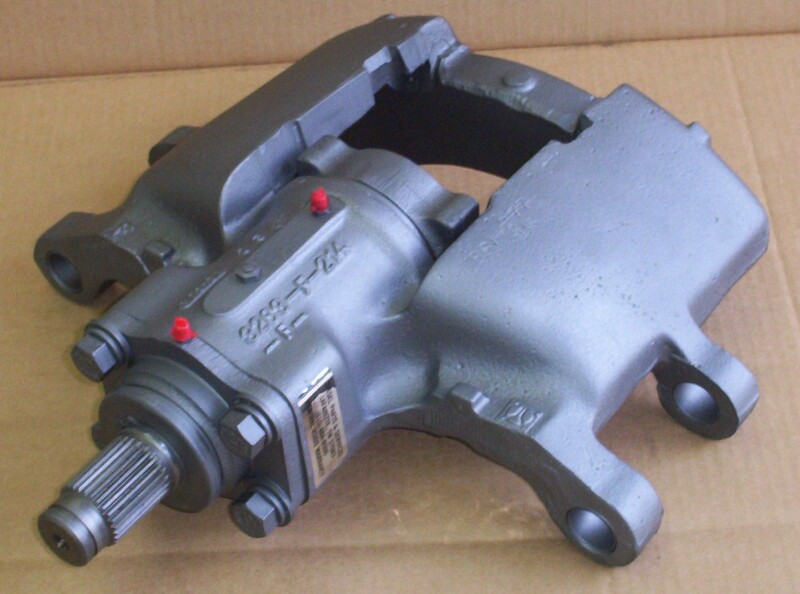 The complete caliper assembly is rebuilt in our facility using new parts. When checking availability with us, please advise us coach model and position on coach (right or left hand). Before leaving our site today be sure and visit our Detroit Diesel and Webasto pages. We are continuing to add items regularly. If you need something that you don't see listed, please feel free to contact us.